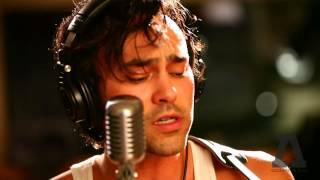 Shakey Graves live performances can be deceiving. Up to now, he’s been categorized as an Americana singer-songwriter, thanks to his traditionally rooted songs, fluent acoustic-guitar picking, Texas roots and from wearing his cowboy hat, looking like a one-man country band. But, the tag will undoubtedly be dismissed as restrictive and irrelevant once discerning listeners hear his radical new album performed live in Melbourne and Sydney this April.